Messier 13 (M13), also known as the Great Globular Cluster in Hercules, is a globular cluster located in Hercules constellation. 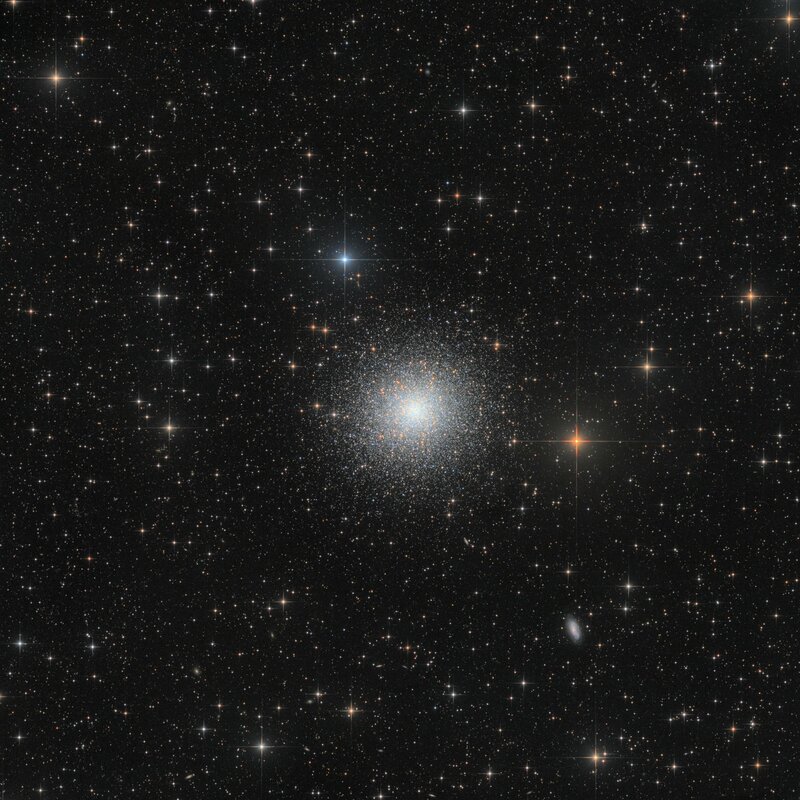 Messier 13 is one of the brightest and best known globular clusters in the northern sky. The cluster has an apparent magnitude of 5.8 and lies at a distance of 22,200 light years from Earth. This cluster has an estimated age of 11.65 billion years and contains about 300,000 stars.